Home > Shop > Beautiful natural onyx stone smoking pipe. Beautiful natural onyx stone smoking pipe. New handmade Beautiful natural brown onyx stone smoking pipe for weed 3.5" long. come with free smoking pipe screens free ship US only. The natural way to experience nature when smoking this kind of handmade stone pipe. 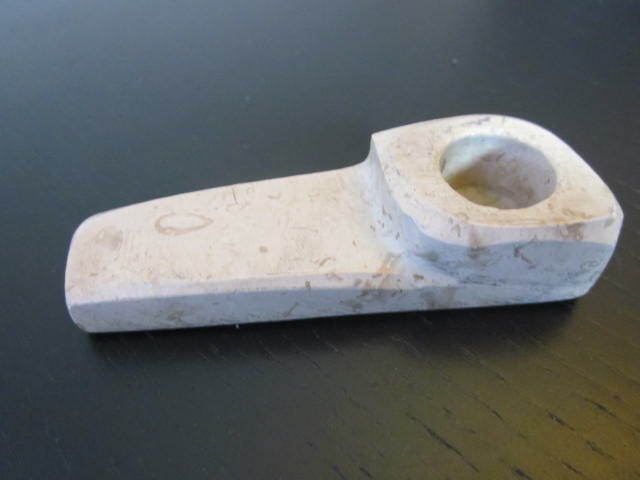 many years ago the caveman use natural home stone pipe made materials to create his first smoking pipe. since then many other around the world use this method of smoking stone pipes. buy me out of here and i will show you the way to happiness.